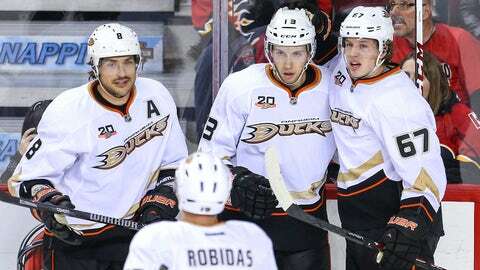 FOX Sports San Diego’s live coverage of Friday’s Anaheim Ducks at Edmonton Oilers game will be available to viewers on the network’s various alternate channels. Coverage begins at 6:00 PM PST with the Ducks Live pregame show. FOX Sports San Diego’s live coverage of the San Diego Padres vs. Cleveland Indians spring training baseball game will remain on FSSD’s regular channels beginning at 6:00 PM PST.